Mercer Seafood is located in the just outside the quant village of Bayboro, NC. 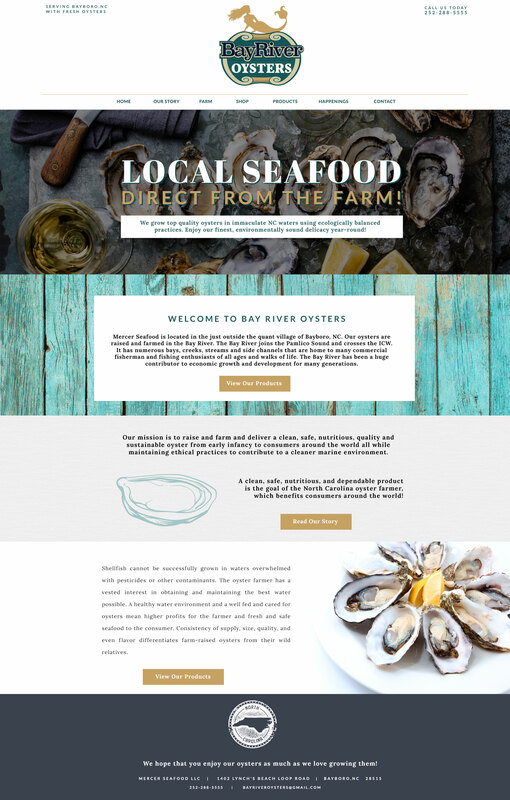 Our oysters are raised and farmed in the Bay River. The Bay River joins the Pamlico Sound and crosses the ICW. It has numerous bays, creeks, streams and side channels that are home to many commercial fisherman and fishing enthusiasts of all ages and walks of life. The Bay River has been a huge contributor to economic growth and development for many generations.